When P.V. 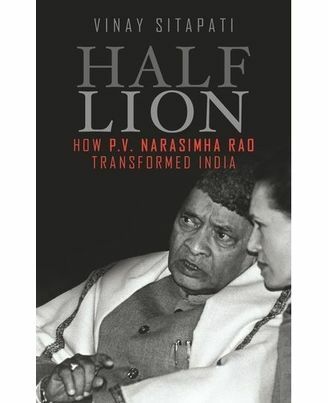 Narasimha Rao became the unlikely prime minister of India in 1991, he inherited economic crisis, violent insurgencies and a nation adrift. Despite being unloved by his people, mistrusted by his party, a minority in Parliament and ruling under the shadow of 10 Janpath, Rao reinvented India, at home and abroad. Few world leaders have achieved so much with so little power. 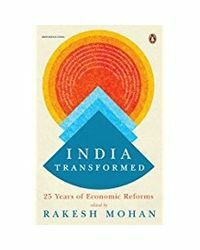 With exclusive access to Rao’s never-before-seen personal papers as well as over a hundred interviews, this definitive biography provides new revelations on the Indian economy, nuclear programme, foreign policy and the Babri Masjid. While tracing Rao’s life from a village in Telangana through his years in power and humiliation in retirement, the book never loses sight of the inner man, his difficult childhood, his corruptions and love affairs, his lingering loneliness. 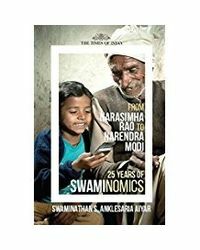 Meticulously researched and honestly told, this landmark political biography is a must-read for anyone interested in the man responsible for transforming India. Vinay Sitapati is a political scientist, journalist and lawyer. He teaches at Ashoka University and writes for the Indian Express. He has studied at National Law School, Bangalore and Harvard University and is finishing his Ph.D. in politics from Princeton. About the Book : When P.V. Narasimha Rao became the unlikely prime minister of India in 1991, he inherited economic crisis, violent insurgencies and a nation adrift. Despite being unloved by his people, mistrusted by his party, a minority in Parliament and ruling under the shadow of 10 Janpath, Rao reinvented India, at home and abroad. Few world leaders have achieved so much with so little power. With exclusive access to Rao’s never-before-seen personal papers as well as over a hundred interviews, this definitive biography provides new revelations on the Indian economy, nuclear programme, foreign policy and the Babri Masjid. While tracing Rao’s life from a village in Telangana through his years in power and humiliation in retirement, the book never loses sight of the inner man, his difficult childhood, his corruptions and love affairs, his lingering loneliness. 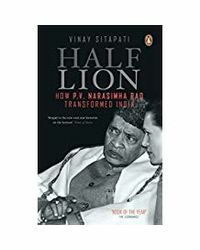 Meticulously researched and honestly told, this landmark political biography is a must-read for anyone interested in the man responsible for transforming India. About the Author : Vinay Sitapati is a political scientist, journalist and lawyer. He teaches at Ashoka University and writes for the Indian Express. He has studied at National Law School, Bangalore and Harvard University and is finishing his Ph.D. in politics from Princeton.